Today the Government Equalities Office released new guidance on providing services for transgender consumers, co-produced with Gendered Intelligence. Minister for Women and Equalities Nicky Morgan introduced the guidance during this morning’s Women and Equalities Parliamentary Questions (see video at 10:00) in the House of Commons. We are pleased that service providers across all sectors will have clear guidance to make sure transgender customers and clients are comfortable and feel welcomed. We would like to thank all those who completed our survey and supplied us with some insightful testimony. It is the voices of trans people and their experiences that really bring the guidance to life. The GEO has simultaneously released new guidance for employers on recruiting and retaining transgender staff. It was a dreary weekend in London when WHY? (What’s Happening for the Young) Festival came to the Royal Festival Hall; an event packed full of educational treats for both adults and children! Teachers, parents and young people streamed in from across the land to indulge in a variety of activities and stalls packed full of learning goodness. From political change singing to question and answer sessions on what it means to have a happy childhood, WHY? Festival had a lot to offer. I observed all of these fantastic activities whilst spreading the word about GI on our stall. 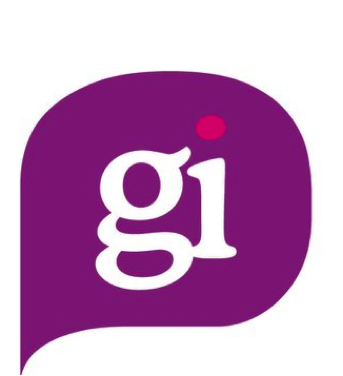 As a volunteer, it was a perfect opportunity to learn more about GI and get stuck in to the work that they offer to schools and universities. From MA students, to parents, to teachers – we raised a lot of awareness and planted a seed of interest in those who had never before taken much time to think about the issues trans people face in schools, and indeed in general. I really enjoyed putting out the word on the work GI do and, in some cases, having the privilege of hearing the personal stories of families or individuals who have been affected by the difficulties that can occur when a loved one is transitioning. I was touched by the degree of love and understanding I encountered I relation to this. In addition to the stall, GI presented a workshop on gender: ‘Are you a Boy or a Girl’?, run by CN and Jason. The title of the workshop was taken from Sarah Savage’s book for children, which introduces themes of gender to young children, unfortunately she was not able to make it to the workshop itself. This being said, the idea of creating a book for young children on the theme of gender is something that really resonates with me; during the over 21’s workshop, we discussed the inflammation of the terms ‘masculinity’ and ‘femininity’ among children’s tales over the past decade or so. Namely the increased mantra of PINK for girls! Being a predominantly female group, we talked a lot about the pressure to feminise oneself and the influence this can have on young girls to exhibit girlish behaviour. Some teachers in the room talked in solidarity with one another about the problem with young girls distorting their personalities around what has become the ‘comfortable’ box to sit in: pink, pretty, princesses. After and hour of discussion, the over 21’s and the under 21’s group reconnected and fed back the findings we came across collectively. As far as I could tell, this was an enriching and beneficial experience for both groups. I found it interesting to hear about the experience of young people compared to that of the older group, mainly because I find it refreshing to see that young people have the opportunity to have access to knowledge that can enable them to be more intelligent about gender! When I was in school, education around sexuality was only just beginning to skim the surface. I am inspired by educational organisations like GI who are unfolding their knowledge to educational institutes across the country. This being said, the over 21’s workshop was a fantastic experience and I felt very happy to share a space with other people who were so willing to explore their thoughts and feelings around gender. It was uplifting to encounter a group of people who were so open-minded and willing to empathise with the issues the gender binaries create for both sexes.